The Internet Watch Foundation’s vision is the elimination of child sexual abuse material online and our remit is to remove this content wherever we find it by working in partnership with the internet industry, law enforcement, government and other hotlines around the world. We believe that every time an image or video of a child being sexually exploited is shared or viewed online that this compounds the victim’s original abuse and suffering and can add further stress and strain to their lives and ability to recover from their abuse. We know that it is relatively easy for members of the public to accidentally stumble across child sexual abuse material online and it is a myth to suggest that this sort of material only exists on the dark web and cannot be easily accessed on the open web by ordinary people. That is why it is so important that when things do go wrong and people do stumble across this material that they know where they can go to report this material, have it properly analysed in line with UK law and removed from the internet if it is confirmed to be child sexual abuse. 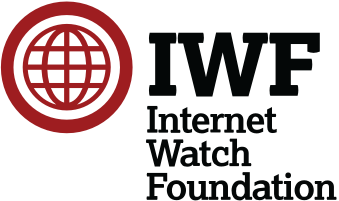 The Internet Watch Foundation provides a secure and anonymous place for people to report this content. Once we receive a report one of our highly trained analysts in Cambridge will assess the image or video and if it is assessed to be illegal will work with the image host to have the material removed from the internet. Our independence from law enforcement means that people can have the trust and confidence to report to us without fear of recrimination, but our close partnership agreement with the National Police Chiefs Council and the CPS, means that we will not prejudice any law enforcement investigation when removing this material. By working with the internet industry, based on our model of self-regulation, we can ensure that we are at the cutting edge of technical developments to ensure that we are not only taking this material down from the internet when the public report to us, but to ensure that we are also proactively searching for content and preventing it from being uploaded in the first place. We offer a range of world leading services to the internet industry that we have developed with the internet industry such as VideoDNA, building on Microsoft’s PhotoDNA development, and image hashing technology which has allowed us to control the spread of illegal child sexual abuse material online and helped to prevent revictimisation. This is evidenced by our impact over the last 21 years which has seen the UK’s hosting of CSAM drop from 18 percent to less than one percent. Finally, we also believe that it is important to educate children and young people about the law when it comes to their understanding of what is legal and illegal online. We are working in partnership with the Home Office to help young men between the ages of 18 and 24 to navigate the internet responsibly- for their own sakes and for the protection of under-18s who have been abused or coerced into being in indecent pictures and videos that are shared online. The campaign aims to improve their understanding of the law and encourages them to report any suspected child sexual abuse material that they may stumble across online.